I love using this recipe of chickpeas in my salads. Personally, I can never get the canned ones to come out as crispy, so I buy the dry ones. I purchased a 16oz bag of dried garbanzo beans and soaked them over night in a covered container in the fridge. By morning time, they have expanded and are ready for the oven. This is an excellent vegan protein source. 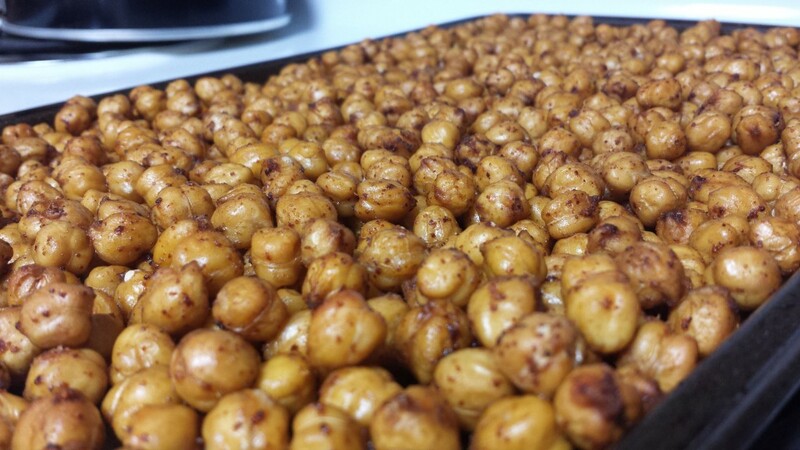 Place the chickpeas in a large bowl and toss with the remaining ingredients until evenly coated. Bake for 20 mins take out and let cool. Tip: Whether you use canned or dried, drain the chickpeas, and then rub them thoroughly between two or three paper towels and make sure they are dry. Remove any loose skins that happen to come off the beans.